Home » Agriculture » community » culture » farmers market » farmers’ markets » food system » fruits » healthy » produce » supermarket » sustainable » vegetables » Farmers' Markets Are Good for Communities…Right? Vegetables at the Dane County Farmers' Market. Photo courtesy of Bill Lubing. Farmers’ markets practically glow with wholesome virtue: Shop here, they promise, and you can help build a sustainable, healthy food system! But without the data to buttress those claims, it’s hard to know whether farmers’ markets are actually meeting those goals or how they can adapt to better meet their communities’ needs. Alfonso Morales, a professor of urban planning at the University of Wisconsin-Madison, wants to help change that. Fueled by an increasing interest in local food, the number of farmers’ markets in the United States has more than doubled in the last decade. This rise in popularity has been accompanied by the implicit assumption that farmers’ markets are more sustainable than their fluorescent-lit, big-box counterparts. Their environmental advantages, advocates say, are clear. Food is transported shorter distances, which results in lower fossil fuel consumption. 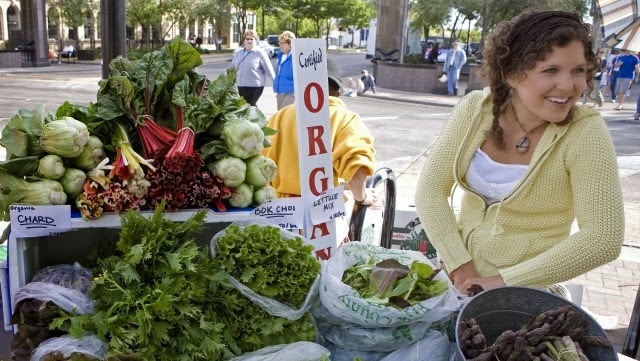 Farmers’ markets offer more diverse crops grown by more eco-friendly methods. Broaden the definition of sustainability to include social, health, and economic factors, and you’ll encounter claims that farmers’ markets promote healthy eating and a pedestrian culture, bring fresh produce to undeserved neighborhoods, foster entrepreneurship and a diversified agricultural economy, and create a social space that builds a sense of community. 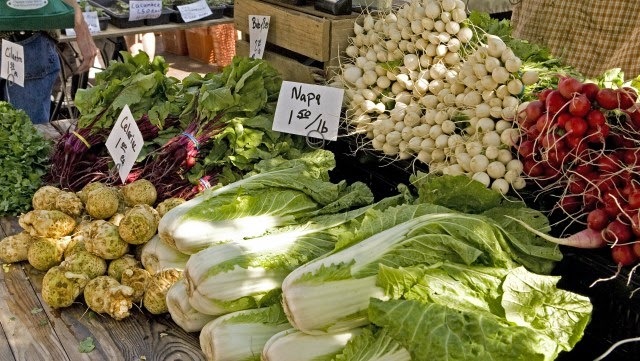 Most people assume that farmers' markets help encourage sustainable agriculture. Morales' new project could help measure that effect. Those measurements are relatively easy for major supermarket chains, which have the staff and the budgets for exhaustive market research. Analyzing research data enables big retailers to respond to changing demographics and consumer preferences, ensuring that they stay relevant to the communities they serve. Farmers’ markets typically don’t have those resources. That’s where Morales’ project comes in. Morales and his partners at the Farmers Market Coalition are working with managers at nine farmers’ markets around the country to ask, “What is it that’s relevant to them and their community?” They’ll help market managers figure out what data they need and how to collect and present it. Some of the data will help address all those assumptions about the environmental benefits of farmers’ markets, such as the average number of miles the food actually travels, the number of organically farmed acres represented at the market, and how diversified the market’s farms are. Other data will speak to a market’s impact on its community by looking at the number of small businesses started through the farmers’ market, whether it attracts foot traffic to nearby shops, and the number of vendors who are minorities or women. All this data collection will help reveal how each farmers’ market is affecting its community — and how it could be doing better. 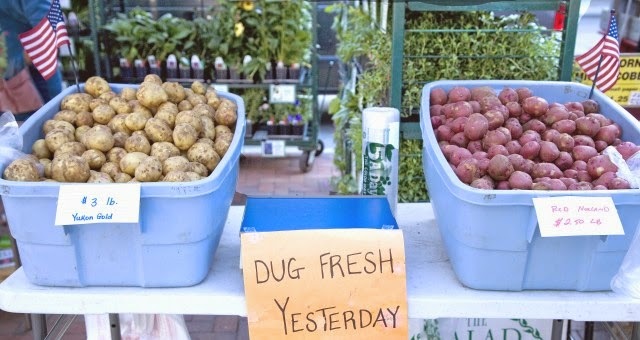 Bill Lubing, the manager of the Dane County Farmers’ Market in Madison, agrees that good data is essential when making decisions about how to move a market forward. “There are a lot of people with a lot of ideas,” he said, but a shortage of ways to evaluate those ideas. “More data is always better.” For example, because he ran the market’s newsletter for years before becoming manager, Lubing knows that links to recipes are very popular. Surmising that customers are sometimes stumped by the produce at the market (how do you tackle an entire stalk of Brussels sprouts? ), he’s published a series of basic instructional videos, as well as more recipes. They’ve been a hit. Morales argues that good data can do more than improve decision making. It can also help market managers advocate for the market with local business and government. For example, if a market wants permission to open a new branch in a public park in an underserved neighborhood, data showing the amount of produce purchased with SNAP benefits can help persuade the city that it’s a worthwhile use of space. Shopping at a farmers' market gives consumers a closer connection to their food–which is becoming increasingly popular. Photo courtesy of Bill Lubing. The project’s immediate focus is local: to help individual managers make decisions that work in their particular communities. But if the project takes off (and it looks like it’s going to — dozens of markets beyond the original nine have asked to participate) it could generate enough data to start to draw conclusions about the roles of farmers’ markets in the United States as a whole. That’s exactly the kind of large-scale data needed to evaluate whether farmers’ markets are really helping create a more sustainable food system.